So you’re thinking about joining a circus class? Perhaps you’ve been inspired by a show such as Cirque du Soliel, or maybe you have a friend who takes a class and can’t stop raving about it. Perhaps it just seems like a fun way to stay fit? Maybe the thought of running away to the circus has appeal, but you’re not totally sold on the idea yet? Well, here are some reasons why you should absolutely give it a go…. In these modern times where meaningful human interaction has been replaced with flicking through photos of strangers on your phone, circus classes provide an opportunity to actually meet new people, face to face (Gasp!). Circus is hugely varied, and depending on what discipline you decide to try your hand at, you could be getting to know people REALLY QUICKLY. Nothing builds close friendships faster than having someone’s legs wrapped around your head. There is also a high level of trust involved, both of your fellow circus classmates and your instructor. Do I trust you not to drop me on my head? Do I trust that you’ve told me the right wrap in the aerial silks before I do this scary new drop? Learning to trust people can have a positive impact of your relationships outside of the circus space. 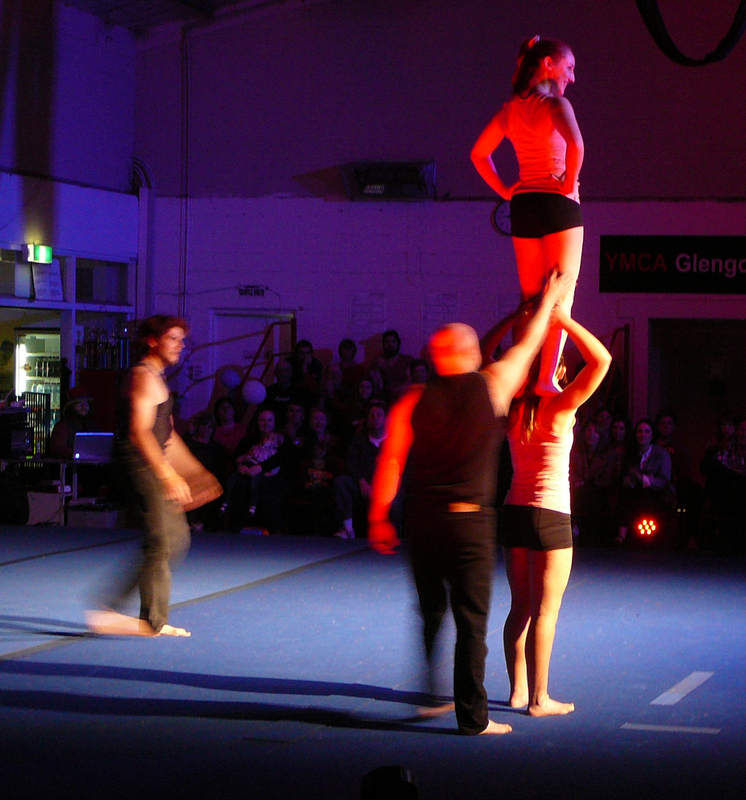 Circus is also great for fostering a sense of community and belonging. If your school does student showcases or community gigs, it feels wonderful to be part of something that brings this community together through shared experiences. Circus is physically hard. You can’t climb up aerial silks or have someone stand on your shoulders without some serious strength behind you. But it doesn’t FEEL like a workout. Why is that? It’s because it is also working out your brain. Did I do that wrap right? Why isn’t this trick working, and how can we solve it? I want to get from this trick to this trick, what’s a good way to transition? Circus encourages problem solving, ingenuity, and resilience, which again, can have a take-home benefit for your personal and professional relationships. As mentioned before, circus is physically hard work. Pick almost any circus discipline. Training in it, you’re bound to get a full-body strength workout, as well as challenging your flexibility and cardio fitness. Some of the numerous health benefits of regular exercise of this nature include reduced blood pressure and resting heart rate (good for your circulatory system! ), easier weight control, reduced risk of developing type 2 diabetes, cardiovascular disease and certain types of cancer, increased energy levels and improved mood. All these physical benefits whilst you’re enjoying yourself! What more could you ask for? Well folks, as you can see, Circus has many benefits. So what are you waiting for? Get up, get out and start discovering them for yourself!